Dragons, Orcs, and Pabst Blue Ribbons, oh my. Dungeons & Dragons is having one hell of a resurgence lately in the River City. 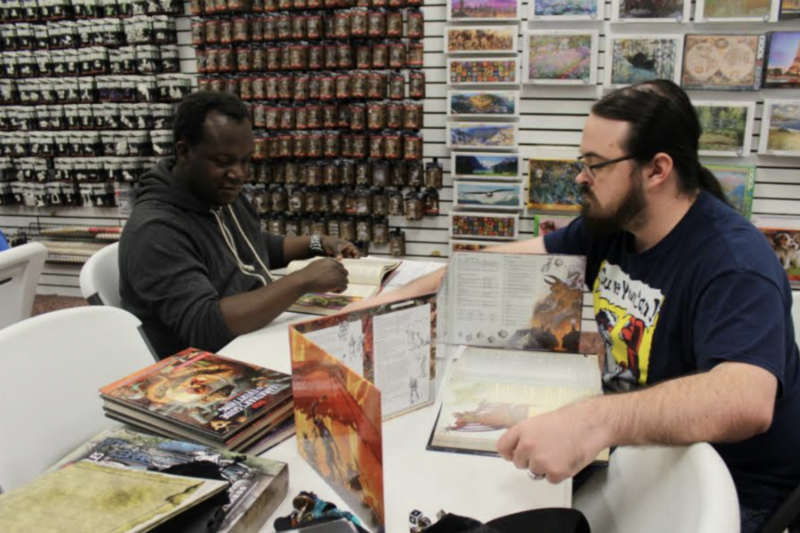 From game nights at local breweries, to live shows at comedy theaters, to your coworker organizing a campaign at his gross apartment, the iconic tabletop game — and cornerstone of nerd culture — is making its way back into the pop-culture lexicon at full force. First published in 1974 by Gary Gygax and Dave Arneson, Dungeons & Dragons is one of the most well known role-playing games of all time. 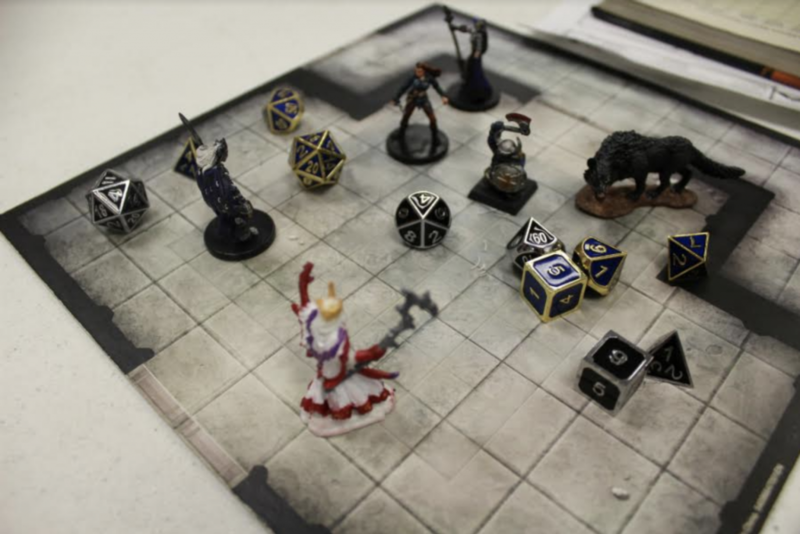 Players follow and create different worlds and missions while a Dungeon Master serves as the overall referee — and usually the winner of a role no one ever wants. The past two years have been the biggest years for the franchise since its heyday in the 1970’s and 80’s. Netflix’s Stranger Things has featured the game at the forefront of its series, and usually plays a pivotal role in the story line. Other franchises such as the Dan Harmon’s Community, and The McElroy Brothers’ The Adventure Zone also have brought the game into the pop culture lexicon in recent years in their own way. Specifically in 2017, it is estimated that over 8.6 million people played Dungeons & Dragons, and over 9 million people streamed games on Twitch. Joe Manganiello (best known as Alcide on True Blood, and most recently as Deathstroke in the DC Universe) has been a long time fan and avid player of D&D. Manganiello appeared in a live stream and was an understandable boost to viewership. Ever the epicenter of what is cool and hip(ster), Richmond has a plethora of options for both the seasoned and novice D&D player in the room. Richmond’s main gaming hub, One Eyed Jacques, is situated pretty comfortably on W. Cary St. One Eyed Jacques not only has some of the most knowledgeable tabletop gamers in town, but also offers various nights every month — to either learn the game from seasoned players, or just bring your own team into their house to play. “But Ash! What if I want a nice, hearty IPA while I burn an ogre’s Trader Joe’s to the ground?” Oh, sweet, sweet reader, trust and believe that I’ve got you covered for that as well. While One Eyed Jacques might frown on you bringing a six pack into their establishment, a good handful of breweries and bars have started housing their own D&D nights in town. Amongst these is Garden Grove Brewing and Urban Winery who hosts their own D&D night every other Tuesday night, and encourage anyone curious in learning the game to come. 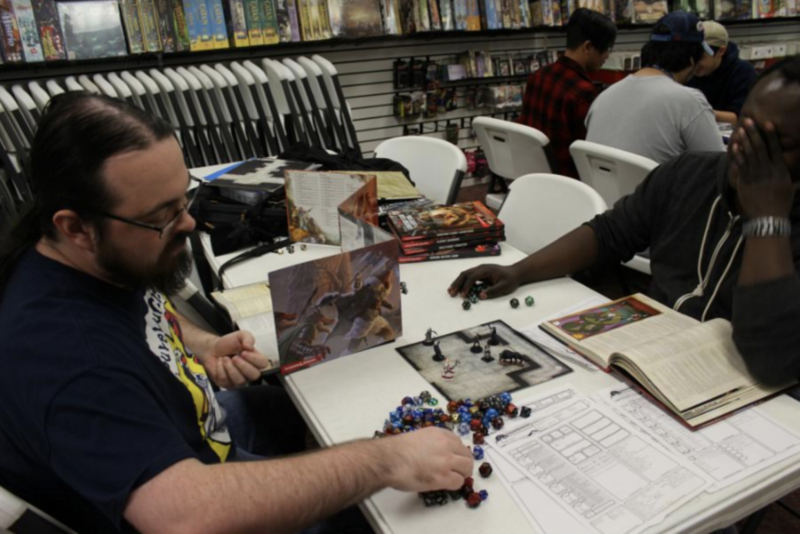 After realizing that a bunch of the folks at Garden Grove already play and love D&D, the desire to want to bring a game night to the brewery only felt natural. After seeing that Strangeways hosted their own night, Chris Sarnoski reached out to Goblins and Growlers (who host the game) to see if they could do the same for them. Much like other folks in the area who play D&D or who host the nights, Sarnoski has always enjoyed it even if he hasn’t always kept up with it the entire time. So why does he love it so much? Pretty much for the same reasons we all do, just stated a bit more eloquently, honestly. Even though it’s hard to ignore that Richmond does tend to hop on any trend involving decompressing and relaxing, especially in ways that remind us of simpler times, it’s still a valid question. Why D&D in Richmond, and why now? For those who want to get engaged without playing, or kind of just want to watch a game for a mini crash-course? Coalition Theater has your back, and hopefully you even laugh in the process. Hosted by Adam Stackhouse, The Coalition Theater is home to a series of periodic Dungeons and Dragons live shows called “Roll 4…” and based off of a particular theme. Roll 4 Brunch, Roll 4 Blast Off, and most recently Roll 4 Treats as part of the Nightmare on Broad Street Halloween Series. You get the picture. Originally started three years ago, after branching off of a Richmond Famous show (where they usually bring in someone well known in the community and then do improv. ), the idea to do a live D&D game came at a natural time. After doing a Richmond Famous show with lawyer Peter Trauernicht, who is a Dungeon Master by night, the time felt right. Unsurprisingly, when I asked Adam why he loved D&D so much, he described what also happens to be why people who do improv tend to love doing it as well. Naturally, some of the stigma with Dungeons is usually that it’s either difficult to play, or that it is hard to find a group. Neither of these are the case, but it’s understandable to assume. Stackhouse had some advice for folks looking to play. So grab your die, grab your dungeon maps and books, grab your snacks of choice, and sling a roll for friendship: because that’s what’s going to happen once you find your new group. As we head into the coldest months of the year, and probably a blizzard or twelve (go global warming! ), now is the time to head to your spot of choice and learn just what kind of mage you were truly meant to be. Game on, Richmond.